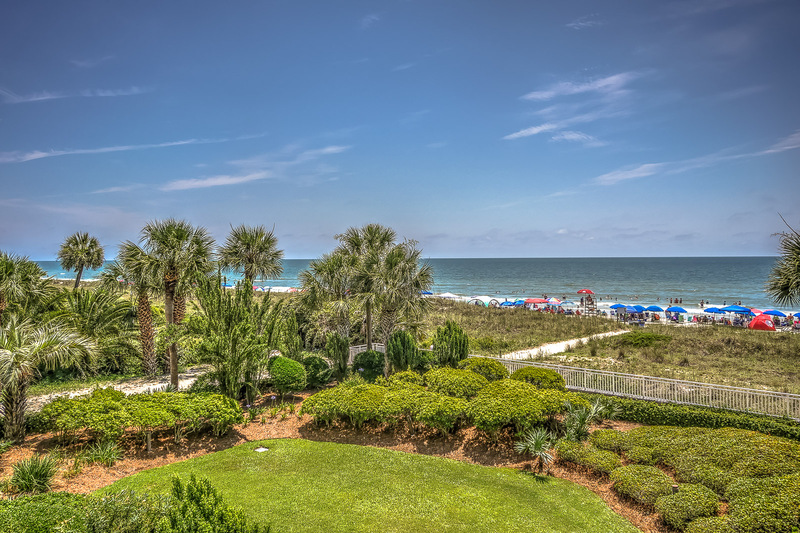 Exceptional 2 bedroom, 2 bath oceanfront villa is located in building 3 on the second floor at the SeaCrest Resort. Enjoy your morning coffee from your 2 private balconies overlooking the pool and the Atlantic Ocean. The upscale kitchen is fully equipped with stainless steel appliances and lovely granite countertops that hosts a breakfast bar for 4. The updated bathrooms have frameless showers, garden tubs, and double vanities with granite counter tops. Beautifully furnished and well appointed, this spectacular villa is perfect for your next Hilton Head vacation!